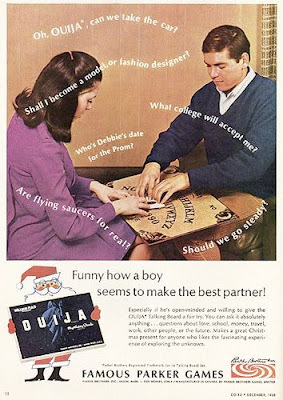 "How the ouija board really moves"
The mystery isn’t a connection to the spirit world, but why we can make movements and yet not realise that we're making them. This effect also underlies the sad case of "facilitated communication" , a fad whereby carers believed they could help severely disabled children communicate by guiding their fingers around a keyboard. Research showed that the carers – completely innocently – were typing the messages themselves, rather than interpreting movements from their charges.